Joseph P. Kostolansky, Jr., 85, of Donora, PA died on Tuesday, February 5, 2019 at the Residence at Hilltop, Monongahela with his loving family by his side. Born on March 25, 1933 in Donora, he was a son to the late Joseph P. Kostolansky Sr. and the late Ann Bires Kostolansky. In addition to his parents, he was preceded in death by his wife Alexandria "Sandy" (Mauser) Kostolansky on Oct. 1, 2015. Mr. Kostolansky was a 1951 graduate of Donora High School and a 1955 graduate of Rensselaer Polytechnic Institute, Troy, NY where he received a Bachelor of Science in Mechanical Engineering and was a member of the Theta Xi Fraternity. In his professional career, Joe worked as Vice President of Operations for Hankison and later for the Nash Corporation. A veteran, Mr. Kostolansky was a Captain with the United States Marine Corps. Upon settling with his family in Donora, he was an active member of St. Dominic Church and later Our Lady of the Valley Parish. Joe is survived by five children; Paula (Jim) Ferrato of Barrington, RI, Mary (Rick) Wagner of Cincinnati, OH, Joseph (Teresa) Kostolansky of Seattle, WA, Michael (Elizabeth) Kostolansky of Summit, NJ, and Timothy (Hifumi) Kostolansky of Walnut Creek, CA. He was the proud grandfather (Pap) of Margaret, Katherine and Anna Ferrato, Abigail Kostolansky, Timothy, Stephanie, and Emily Kostolansky and Timothy, Michael, and Katherine Kostolansky. He is also survived by three siblings; Joan Santangelo of Erie, PA, David (Marge) Kostolansky of Warren, OH, and Thomas (Patsy Jo) Kostolansky of Donora, PA and several nieces and nephews. Arrangements have been entrusted to the ANTHONY L. MASSAFRA FUNERAL HOME AND CREMATION SERVICE INC., 40 Second St. Ext. Carroll Township/Donora PA 15033, (724) 379-6900; where the family will receive friends from 3 to 7 p.m. on Friday, February 8, 2019. Prayers will be recited in the funeral home at 11:30 a.m. on Saturday, February 9, 2019, followed by a Mass of Christian Burial at 12 Noon in Our Lady of the Valley Parish in Donora. Interment will follow in Sacred Heart Cemetery, Monongahela. In lieu of flowers memorial donations in Joe's name may be made to the Parkinson's Foundation of South Western PA, 575 Lincoln Avenue, Pittsburgh, PA 15202. 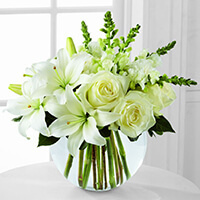 To send flowers to the family of Joseph P. Kostolansky Jr., please visit our Heartfelt Sympathies Store. Ibex Family, Mary and Tim Martin, and others have sent flowers to the family of Joseph P. Kostolansky Jr..
My condolence to the Kostolansky family. Sorry for your loss. Joe was a good guy and will be missed. The Mon Valley YMCA would like to extend our condolences to Joseph's family. We enjoyed his past visits at our facility. Even though he was soft spoken I always got a smile out of him. May he rest in peace! 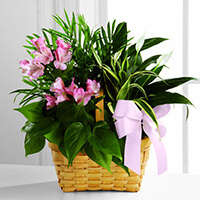 purchased the The FTD Special Blessings Bouquet for the family of Joseph Kostolansky. Sending all of our love and prayers! purchased the The FTD Living Spirit Dishgarden for the family of Joseph Kostolansky. Provide comfort for the family of Joseph Kostolansky with a meaningful gesture of sympathy.